BepiColombo is named after Giuseppe (Bepi) Colombo (1920-84), a scientist who studied Mercury's orbital motion in detail and greatly contributed to the study of orbits and interplanetary travel. 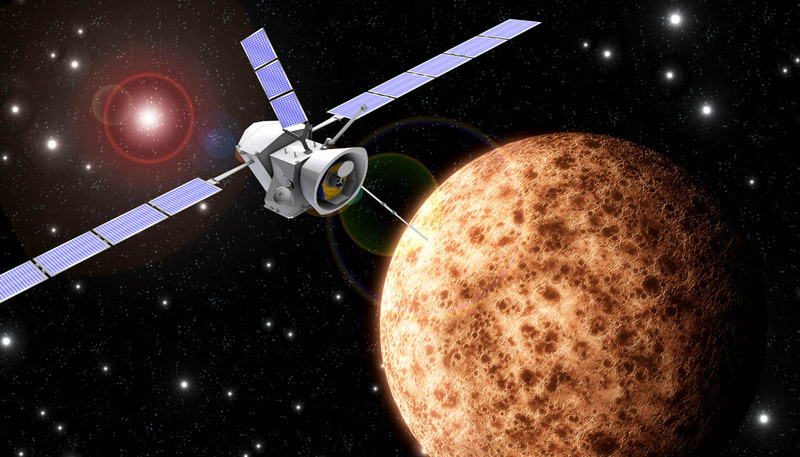 The BepiColombo will study and understand the composition, geophysics, atmosphere, magnetosphere and history of Mercury, the least explored planet in the inner Solar System. Itis a joint mission of the European Space Agency (ESA) and the Japan Aerospace Exploration Agency (JAXA). BepiColombo will provide the best understanding of Mercury to date. It consists of two individual orbiters: the Mercury Planetary Orbiter (MPO, built by ESA) to map the planet, and the Mercury Magnetospheric Orbiter (MMO, built by JAXA) to investigate its magnetosphere. The spacecrsft are planned to be launched on Ariane 5. The difficulty of reaching, surviving and operating in the harsh environment of a planet so close to Sun makes BepiColombo one of the most challenging long-term planetary projects undertaken by ESA so far. The spacecraft will have a six year interplanetary cruise to Mercury using solar-electric propulsion and gravity assists from the Moon, Earth, Venus and eventual gravity capture at Mercury. 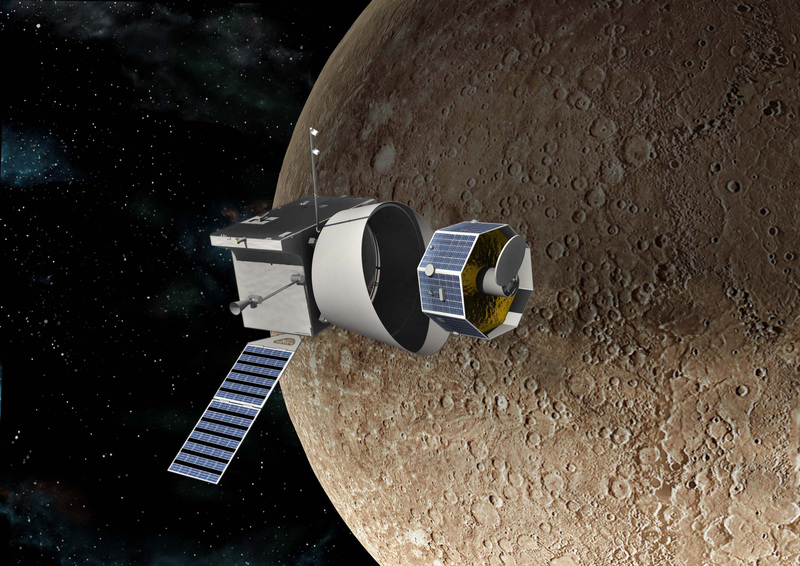 When BepiColombo reaches its destination (2023), it will be only the second spacecraft to orbit Mercury in the history of planetary exploration. MPO will carry a highly sophisticated suite of eleven scientific instruments, ten of which will be provided by Principal Investigators through national funding by ESA Member States and one from Russia: Laser Altimeter (BELA); Italian Spring Accelerometer (ISA), Mercury Magnetometr (MERMAG); Mercury Thermal Infrared Spectrometer (MERTIS); Mercury Gamma ray and Neutron Spectrometer (MGNS), Mercury Imaging X-ray Spectrometer (MIXS); Mercury Orbiter Radio science Experiment (MORE); Probing of Hermean Exosphere by Ultraviolet Spectroscopy (PHEBUS); Search for Exosphere Refilling and Emitted Neutral Abundance (SERENA); Spectrometers and Imagers for MPO BepiColombo Integrated Observatory System (SIMBIO-SYS) and Solar Intensity X-ray Spectrometer (SIXS).